Ubisoft is at it again. 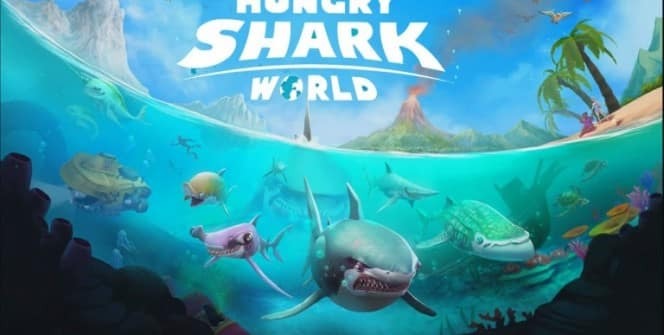 After creating the widely popular game Hungry Shark Evolution, the makers are back at it again. 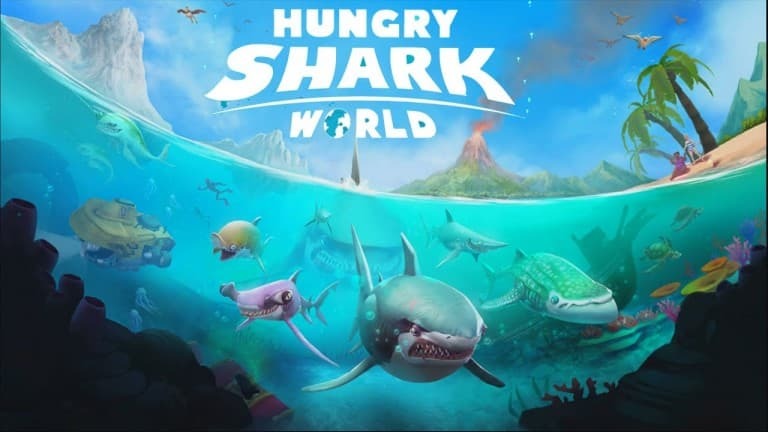 Hungry Shark World is now available, and for the first time, it can be downloaded through the itunes store or the google store for Android users. Just like the first one, the most important thing to do is eat everything, and I mean EVERYTHING! From penguins in the Arctic Ocean to humans on the beach, you must eat everything. The bigger the shark that you have, the more you will be able to eat. There are two ways to play this game for smartphones and tablets. One way is to use the finger touch controls to move around your shark, or you can turn the settings to allow you to tilt your smartphone or tablet to move your shark. For laptops, you use the mouse or touchpad to move around and you left click to boost your shark for extra speed. This game offers three vastly different locations for you to ravage. In the Arctic Ocean you can eat penguins, sea lions and pups and different types sharks. There is ice everywhere and on top of the ocean lies a secret military base where there are people with guns ready to shoot. 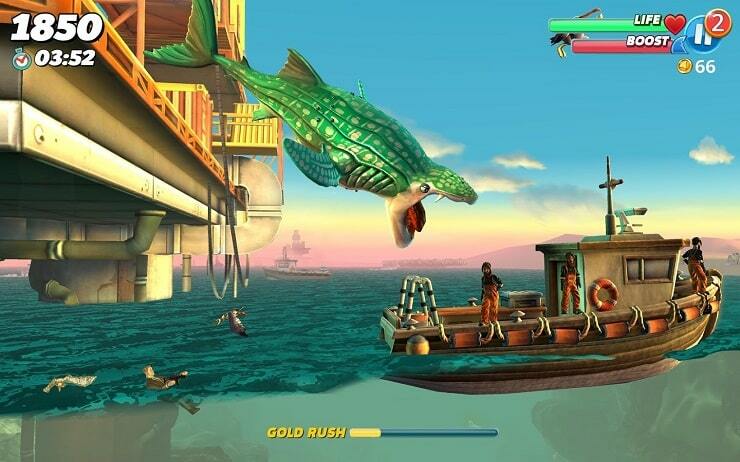 In the Arabian Sea you can discover the ancient Megalodon, but you might need an extra extra large shark to devour it. It is an industrial area that but is also full of things to eat. In the Pacific Islands you can hunt many different types of tropical fish, squid, other sharks (like the hammerhead Shark), and giant turtles. It is a tourist hotspot and you can find many, many humans! There are six sizes that the sharks come in. They range from extra small to extra extra large. You begin with the extra small Blacktip Reef shark, but once you gain enough gold from eating sea animals, gathering treasure and eating humans, you can upgrade to the likes of The Great White Shark. A new addition to the Hungry Shark gameplay is you can be the owner of a pet that helps you eat everything in the sea. There are eight pets to choose from and they include a beluga whale names Anna, a octopus names Kraken and a mini shark named Dave. You can now equip accessories and gadgets to help your shark perform. These bonuses include extra gold boosts and allows for a bigger bite in some cases. By collecting each individual letter in one turn, you turn supersized and regardless of the shark can eat anything that crosses your path. If you eat enough things in a row, you may be rewarded with a gold rush. This turns everything, that is edible, into gold to help you rack up your money to purchase content. Get enough gold rushes and you can be awarded a MEGA gold rush that turns everything, even sea bombs, into free food for you. And don’t forget to look for buried treasure! Sometimes when playing Hungry Shark World, bluestacks ask you fee to pay but gives you option to download some apps. Every time it asks you just select “Install apps” and continue using it free. I hope you enjoyed this guide, please rate and share. If you have problems running Hungry Shark World on desktop or any other issues, leave a comment below.